In the fall, when the weather is still having warm Sunny days, guests can stroll through the Park or the woods, inhaling the scent of fallen leaves. Colorful leaves scattered underfoot, are materials, which deliver wondrous wreaths, so don't miss the opportunity to show their creativity. 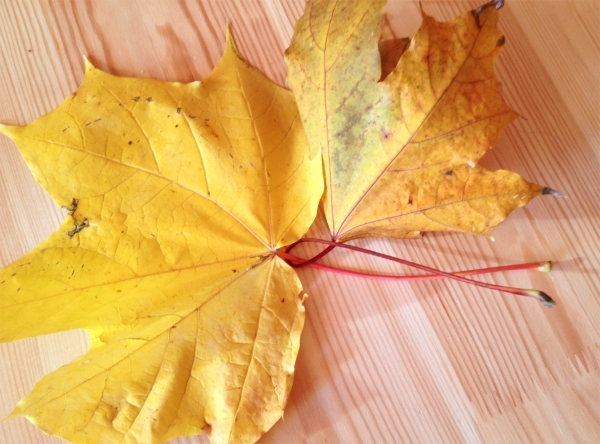 First enter the beautiful maple leaves with long stems. Color and leaf size does not matter, what you should pay attention to is the flexibility of the stalks: they have a good bend and not break. To be sure in the quality of raw materials, leaves it is better to rip from the tree, and to take better ones that are easily detached from the branches. 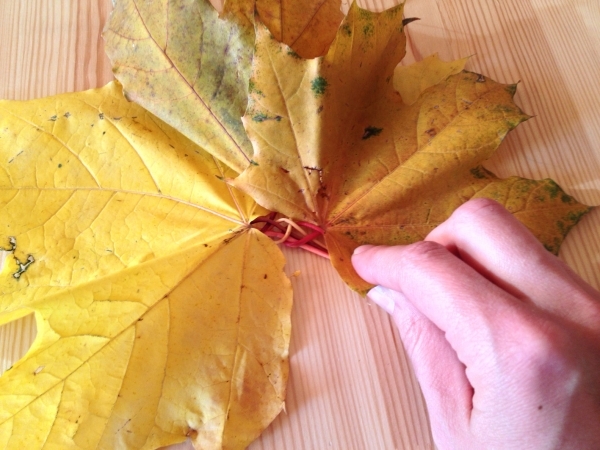 Take two large leaves, put them legs cross, then one leg of the sheet around the second go around to make a loop, and as much as possible it tighten, but do not overdo it, otherwise the stalk will break. Connect together two of the petiole. Take a third sheet, put it in the petiole cross do not cross with the previous two, go around them "tail" of the wreath, creating a loop. 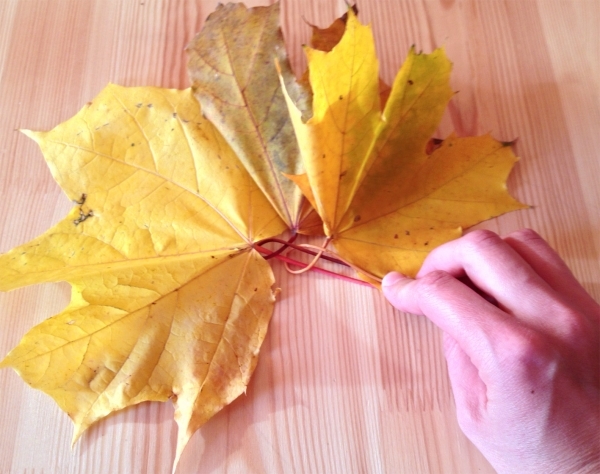 Combine all three of the petiole together so they were parallel. So continue to weave a wreath up until its length reaches the desired size. It should be noted that the wreath was more lush and voluminous over time, you can take not one, but two or three leaves. 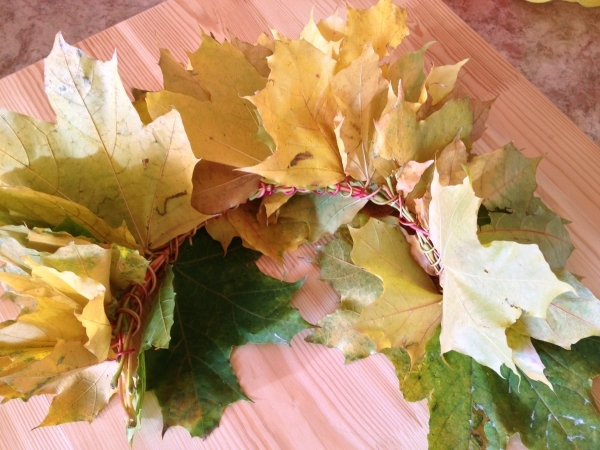 After the wreath will be gossip, connect its two ends together take the thread to the color of the leaves (yellow, green or red) and gently tie the product. With scissors, trim excess stalks. 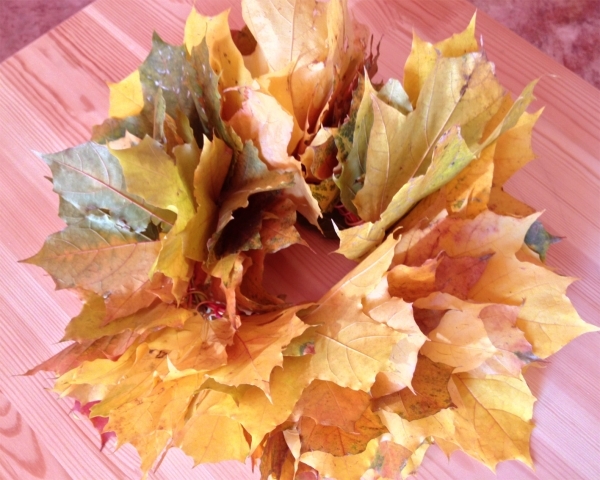 A wreath of maple leaves ready. It can be used as a headdress for a children's party, use it in photo shoots or decorate the front door of the house. To make the wreath look more elegant, then when you capture, you can add branches with Rowan berries or viburnum.